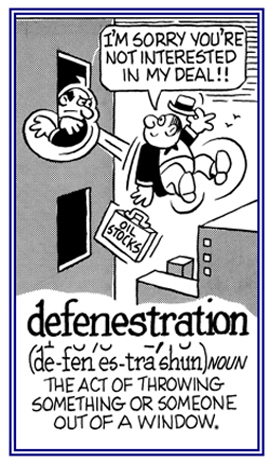 An act of tossing or flinging someone or something out of a window: The defenestration of garbage and human-night soil onto the streets was a common practice in many medieval cities. © ALL rights are reserved. Suicide by jumping out of a window.